Spiral Jet, is also called airborne shooting that is a kind of rotary amusement rides. Its appearance is similar to traditional flying chair but is different from flying chair in operation method. Its rotation and the outward bounce of amusement facility spiral jet rely on the cylinder and the slewing bearing. 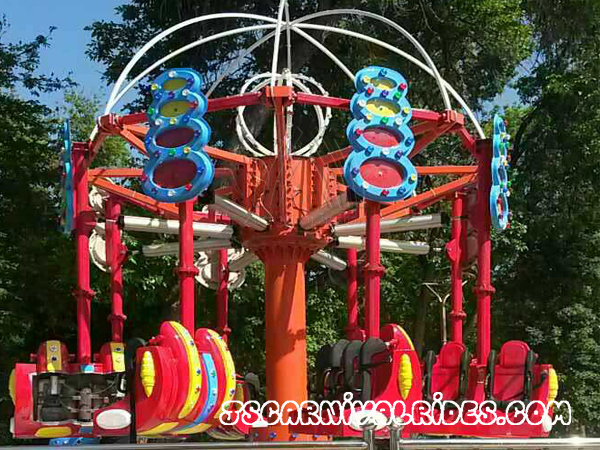 The arms of park ride spiral jet can be customized, usually they are 8 arms and 10 arms. Every mechanical arm has a cabin and every cabin can accommodate two passengers. When it starts to work, it carries the passengers to spin. Along with the music rhythm, its speed becomes faster and faster, and the cockpit bounces regularly under the action of the cylinder, which gives the passengers unprecedented pleasure and excitement. Amusement park rides aerial shooting is different from pirate ship and big pendulum, it is especially suitable for young people who are brave to challenge themselves. 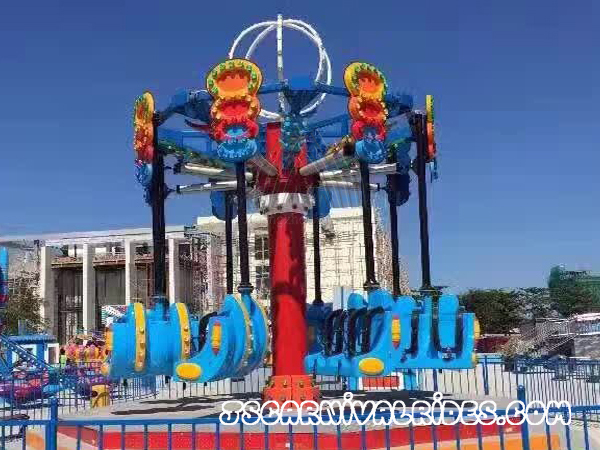 Spiral jet belongs to family rides, which are commonly used in amusement park, theme park, large shopping center, supermarket, indoor and outdoor playground, etc. Prev： How Can New Amusement Equipment Attract More Customers? Next： How to Price The New Amusement Rides Correctly?